Large group meeting room (60-person) for staff and volunteer leadership/discipleship training. Also functions as staff lounge during the summer and used for programming and space-for-rent during school year. Small group meeting room (16-person) for leadership/discipleship training, as well as shared work space. 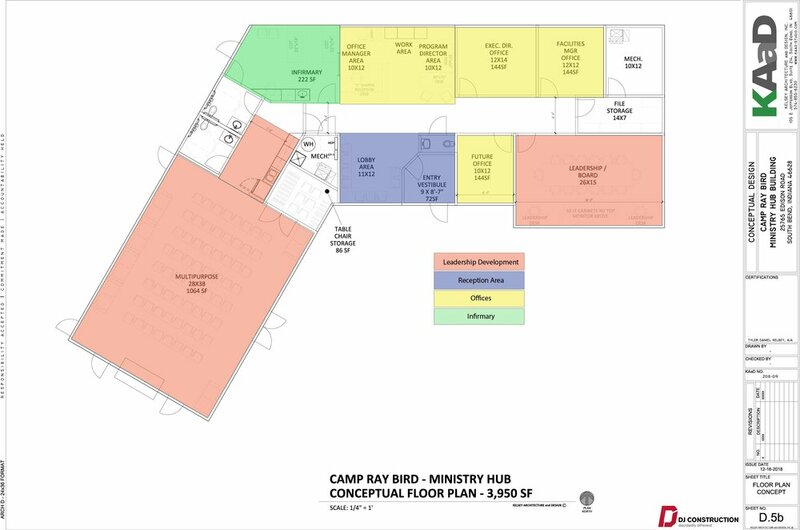 4 office spaces for immediate use and 1 reserved for additional staff. Future office will be used immediately for counseling room. How much do you need before construction starts? We will be excited to start construction as soon as possible, but from early discussion about this project, our board wanted to avoid long term debt. 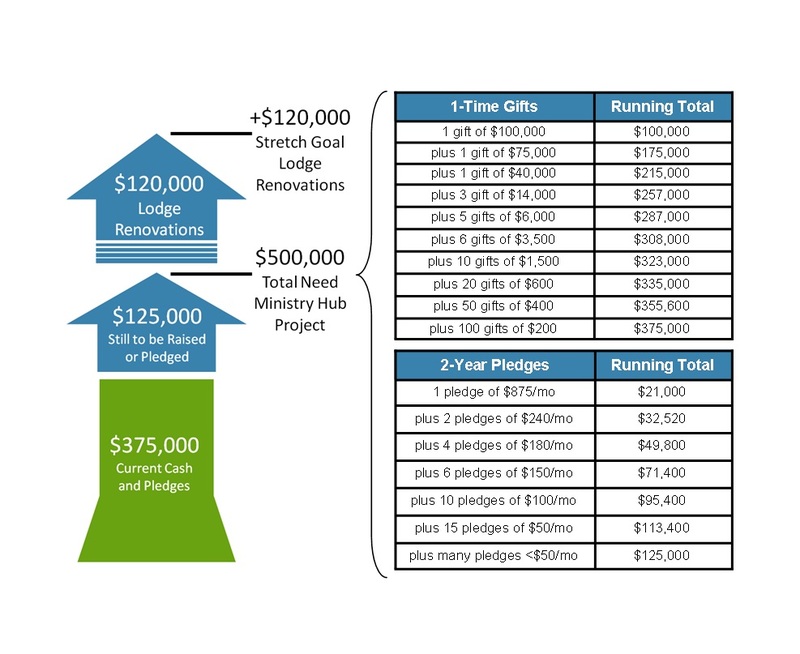 To start construction we’ll need to raise at least 70% cash in-hand and have the remainder committed through pledges. Why aren’t you renovating the current office? 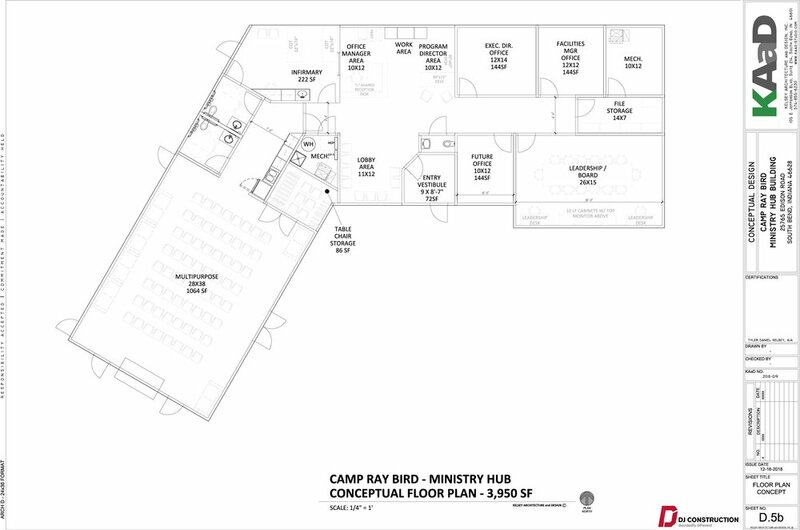 The solution for the current office has been the biggest piece of a larger plan for our facilities. The board, operations committee, and staff started the process 18 months ago and spent many hours thinking, praying, and listening to discern how God would want us to approach the need. Renovating the current office seemed possible, but costly for the level of improvement it would bring. Redesigning and rebuilding brought much more value and opportunity for life impact. As we were praying and considering our options, God started to provide. A major gift of $100,000 and several other large gifts and pledges confirmed we were headed in the right direction. What will you do if you raise more than enough money? 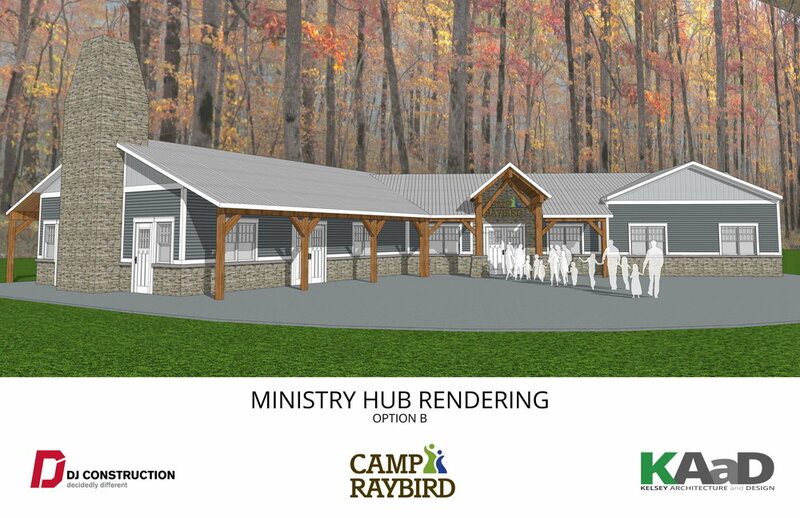 Our first goal is to reach $500,000 to complete the Ministry Hub Project. However, if we raise more, we know exactly what to do with it! 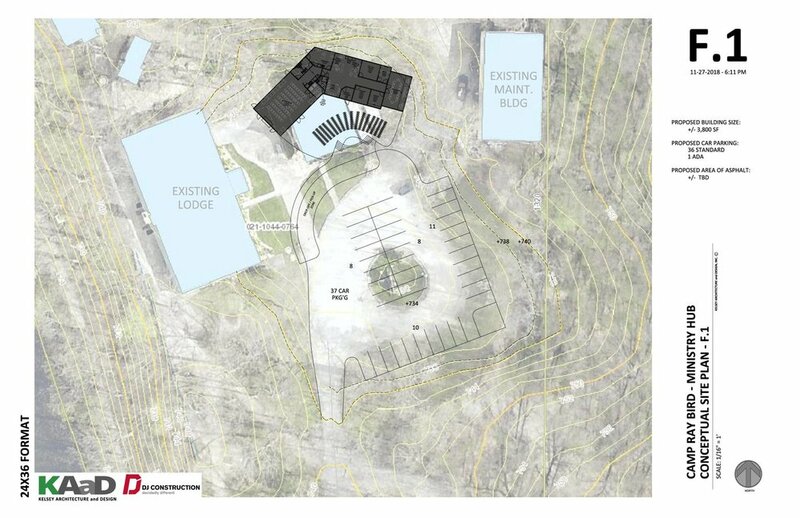 Our next step in the long-term plan is to renovate the lodge ($120,000). What will you do if you don’t raise enough money? This is the largest campaign we’ve ever taken on. Our hope is to meet our goal by mid-summer so we can start construction as early as possible, but we have a plan if that doesn’t happen. We can slide the break-ground date later into the fall or spring of 2020 if necessary. We will not be able to break ground until we raise at least 70% cash in-hand and the remainder committed through pledges. What will happen to the current office? The current office sits on a perfect site for new construction. We plan to demo the current office and rebuild on that site, including using some of it for the outdoor meeting space. Thank you for investing in the children of our community for the Kingdom of God!